24 Quinces To can ripe quinces -- Pare, core & quarter & put into cold water. Drain, cover with boiling water & cook until quite tender. Make a syrup of 1/2 lb. sugar & 1 pt. water for each lb. of fruit. Boil the quinces in this 5 minutes. Can & seal. 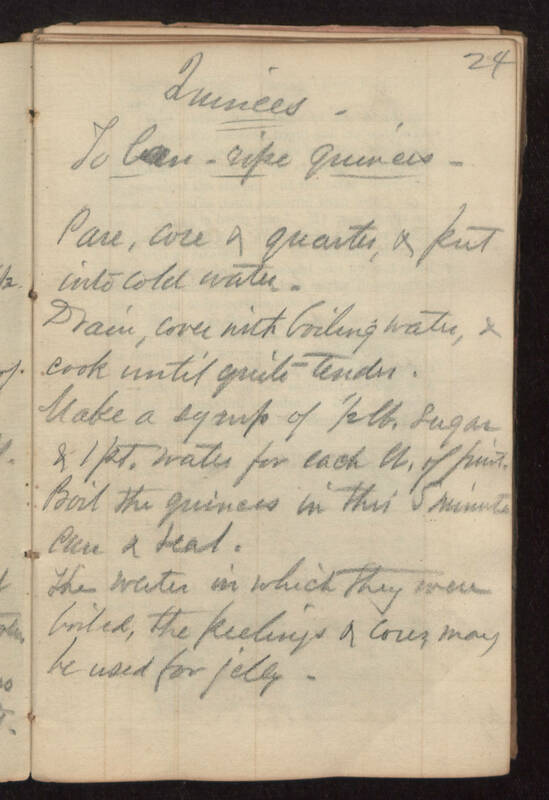 The water in which they were boiled, the peeling & cores may be used for jelly.